Hornist Jesse McCormick has garnered national attention as a leader amongst the new generation of American horn players. Mr. McCormick’s current post is Second Horn in the internationally renowned, Grammy Award-winning Cleveland Orchestra, a position he has held since 2006. On tour with The Cleveland Orchestra, McCormick regularly performs to sold-out audiences in New York’s Carnegie Hall, Vienna’s Musikverein, Miami’s Arsht Center for the Performing Arts, and dozens of other concert halls throughout North America, Europe, and Asia. In addition to his dynamic career as an orchestral musician, Mr. McCormick is a sought-after soloist, educator, and chamber musician. On New Year’s Eve 2013, Mr. McCormick appeared on the nationally-televised PBS series “Live from Lincoln Center,” where he performed Ravel’s Bolero as guest Associate Principal Horn with the New York Philharmonic. In 2015, he performed as a soloist in The Cleveland Orchestra debut of Haydn’s Concerto for Two Horns with Principal Hornist Richard King. Prior to joining The Cleveland Orchestra, McCormick served three seasons as Fourth Horn with the Colorado Symphony, and two seasons as Second Horn with The Denver Brass. Mr. McCormick demonstrated his virtuosity as a soloist at an early age. McCormick made his international solo debut at age 16 when he performed at the 1998 International Horn Symposium in Banff, Canada after winning the Jon Hawkins Scholarship competition. He subsequently took top prize in the Professional Division at the 2005 International Horn Competition of America. 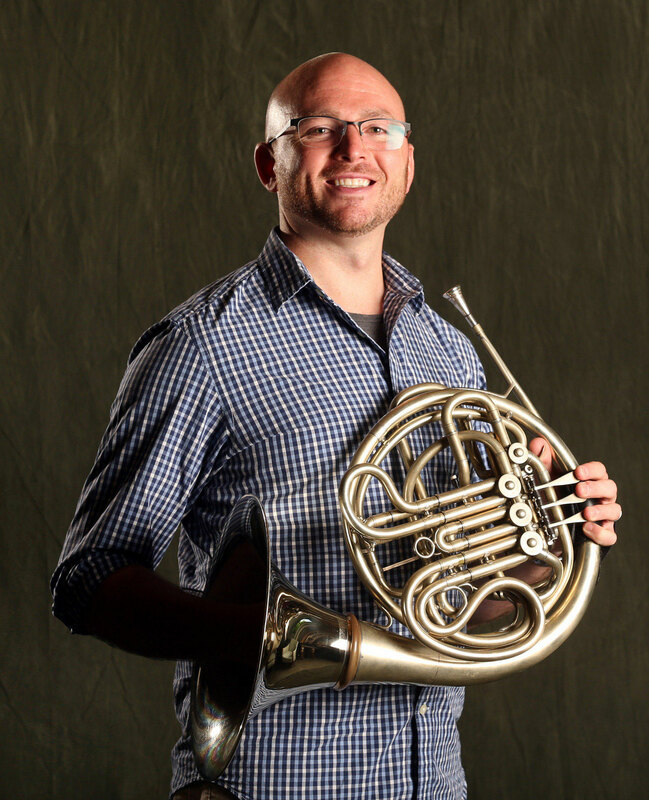 Mr. McCormick has made solo appearances with The Denver Brass, Windworks Ensemble in Capetown, South Africa, and the Chamber Orchestra of Colorado Springs. Jesse McCormick views teaching as an integral part of his career and has been on faculty at Baldwin Wallace Conservatory since 2007. On numerous occasions, he has lectured at the Cleveland Institute of Music and Case Western Reserve University. Within recent years, Mr. McCormick has been a clinician at the University of Denver, University of Miami, University of Nebraska, Illinois State University, University of Memphis, Kent State University, University of Wyoming, University of Cincinnati, and the Raphael Mendez Brass Institute. He has also had the distinct pleasure of teaching master classes in Seoul, Korea, Capetown, South Africa, and Medellin, Colombia. Mr. McCormick actively pursues the advancement of horn pedagogy. In 2008, Jesse McCormick and his mother, fellow hornist Susan McCullough, co-hosted the 40th annual International Horn Symposium at University of Denver’s Lamont School of Music. The Symposium featured world-renowned artists in their diverse capacities as performers, lecturers, and clinicians. The Symposium set record attendance. Additionally, McCormick acted as a contributing artist at the 2008 and 2013 International Horn Symposia. He is currently on faculty at Kendall Betts Horn Camp. As an avid chamber musician and recitalist, Jesse McCormick performs at public concerts and private donor events for The Cleveland Orchestra. McCormick routinely performs on recitals at Cleveland Institute of Music and Baldwin Wallace Conservatory. Jesse McCormick is currently a member of the “Factory Seconds Brass Trio”, an ensemble comprised of fellow Second Chair Cleveland Orchestra members Richard Stout and Jack Sutte. Established in 2012, the group brings a distinctive voice into brass chamber music. In February 2018, Factory Seconds performed the world premier of Resolve, a concerto for Brass Trio and Wind Ensemble by Baldwin Wallace Conservatory Composer-In-Residence Clint Needham, at Carnegie Hall with the Baldwin Wallace Symphonic Wind Ensemble. A repeat performance of Resolve at Carnegie Hall is scheduled for February 2019 in collaboration with the Interlochen Arts Academy Wind Ensemble. You can hear Mr. McCormick on many recent recordings of The Cleveland Orchestra, including the Grammy Award-winning recording of Mozart’s Piano Concertos Nos. 23 and 24 with Mitsuko Uchida (Decca). Other recordings include “It’s All Relative” (2008), featuring Jesse McCormick and Susan McCullough, and “Chamber Music for Horn” (2012), featuring The Cleveland Orchestra’s Principal Horn Richard King and Jesse McCormick performing the Beethoven Sextet for Two Horns and Strings. Two more recordings featuring Factory Seconds Brass Trio are currently in production. McCormick began his studies on Horn with Sally Ann Wilson in Colorado Springs, CO and went on to study at The Juilliard School with Jerome Ashby. Mr. McCormick currently resides in Shaker Heights, OH with his husband, attorney Landon Paul, and their three cats.